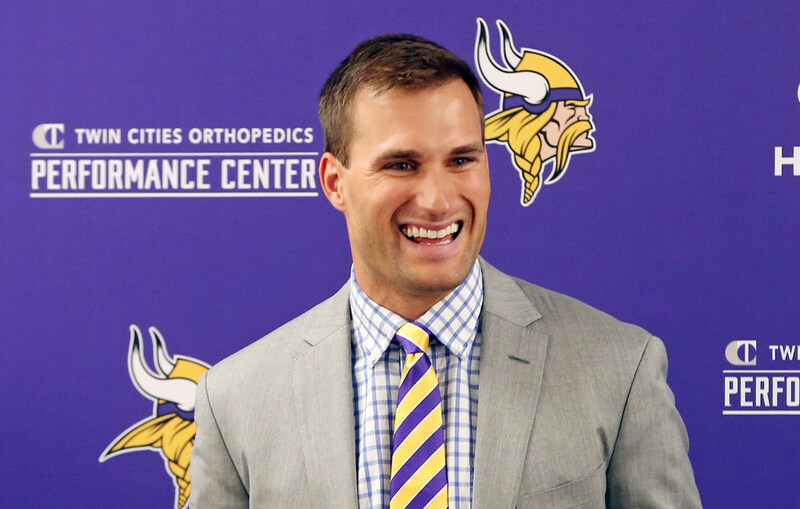 The Vikings apparently started negotiations with quarterback Kirk Cousins at $25 million per year, but upped the offer after the Jets made their proposal. It’s been almost six months since Kirk Cousins signed with the Vikings in free agency, so when a 14-minute “NFL Life” video on Cousins’ path to Minnesota showed up on the Vikings’ web site recently there was natural skepticism that it contained much of value. Turns out I watched every second. And it turns out there was plenty of value to learn even six months after the fact. The episode basically chronicles the handful of days leading up to the official start of free agency in March, taking viewers right up to the time that Cousins is officially introduced as the new Vikings’ quarterback. *We get an inside glimpse into negotiations, but we also see Cousins doing Google searches of teams and their offensive coaches before free agency officially begins. This is confirmation of a report out of New York in March that the Jets did, indeed, offer Cousins $90 million (three years at $30 million each) fully guaranteed. The Vikings apparently started at $25 million per year, but they upped the offer to $28 million a year for three years. That was enough for Cousins, who took less money to come to Minnesota. *Rather humorously, when Cousins decides he’s committing to the Vikings he can’t get ahold of any of his closest loved ones to tell them. He calls his wife, mom and sister and gets voicemail each time. (His wife is in Cousins’ phone as “The Good Lady,” which we can see as he tries to call her). Finally he decides to call an AAA automotive representative he had been bantering with earlier in the week to break the news.